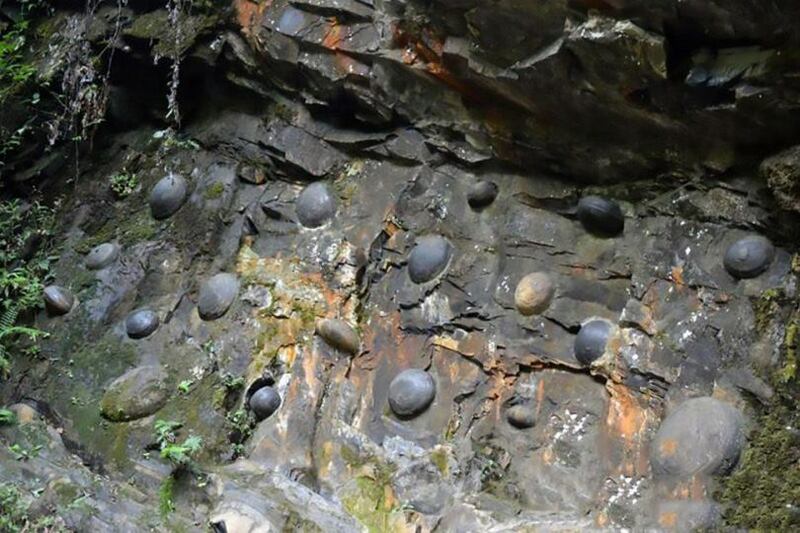 Local people in the southwestern Chinese Autonomous Region of Guizhou Province in southwestern China were surprised to find the smooth and rounded egg eggs protruding over the cliffs and falling to the ground afterwards. The cliff is named Chan D Ya, meaning "cliff to lay eggs" in Chinese. 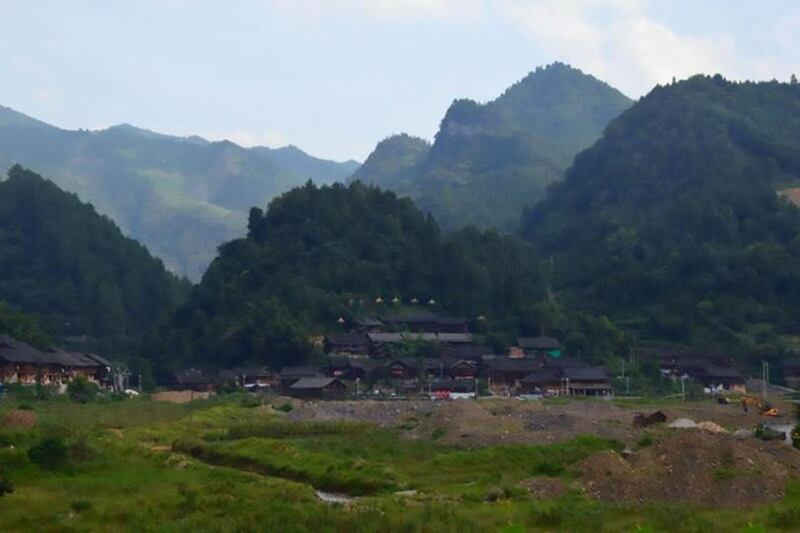 Geologists may have uncovered the secret of the Chan D Ya cliff, was formed 500 million years ago in the Cambrian period, and a certain part of it consists of calcareous rocks. Scientists believe that the time difference that is required to destroy each type of rock, and led to the formation of "stone eggs." Sept. 12 reported. Experts say the egg-shaped shape of the stones is the result of the difference in the erosion of each stone. But they still can not explain how smoothly rounded stones are, or why the half-billion-year-old geologic site is composed of limestone. Chan Dan Ya – Mandarin for ‘egg-producing cliff’ is only 19ft high and 65ft long. 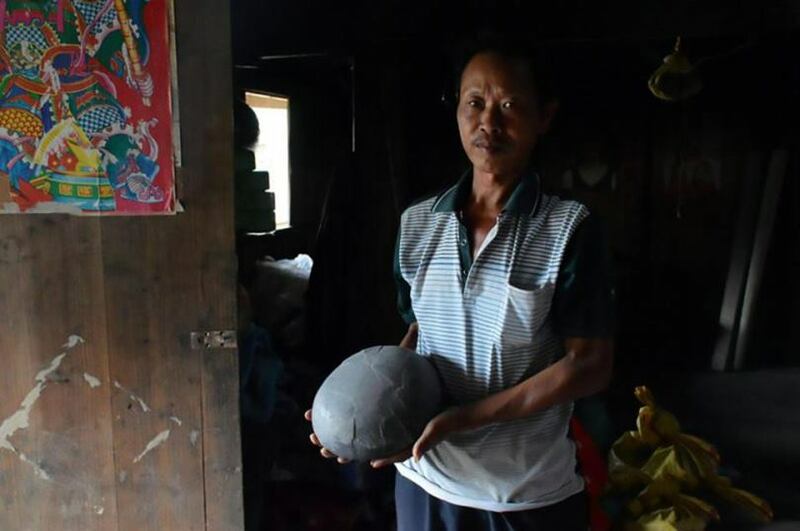 Many villagers take the eggs home because they believe they bring good luck and blessings. That is why only about 70 stones are preserved. 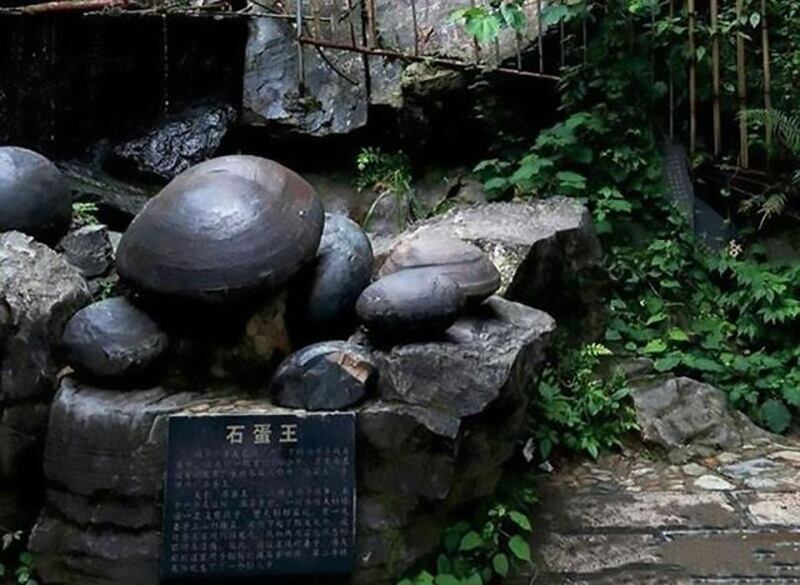 Local tourism director Yang Shengjia says such formations are considered good luck premises and those who can get or take the 'eggs' from the stone or even from the ground, as they fall with a certain frequency over the years and carry to their house, they get an amulet. The 'eggs' arise in a time-spaced period, it is about 30 years between the appearance of new oval forms on the cliff.